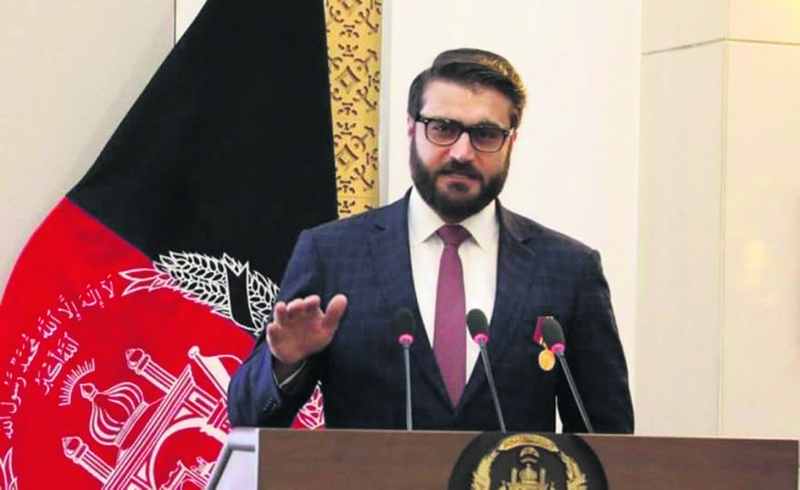 Washington: In an unusual move, the United States summoned Afghan National Security Advisor Hamdullah Mohib hours after he blasted Special US Representative Zalmay Khalilzad for bypassing the elected government of Afghanistan in their direct peace talks with the Taliban. “Under Secretary for Political Affairs David Hale summoned Afghan National Security Advisor Hamdullah Mohib to reject the public comments attributed to National Security Advisor Mohib criticizing the US approach to reconciliation,” State Department deputy spokesman Robert Palladino said after the meeting the between the two officials. Mohib at various public forums during an appearance at a Washington DC-based think-tank and in an interaction with reporters described the US's talks with the Taliban as surrender discussion. He alleged Khalilzad was keeping the "duly elected" Afghan government in dark and that in the latest round of talks in Doha, they were humiliated and made to wait in a hotel lobby. "We don't know what's going on. We don't have the kind of transparency that we should have," Mohib told reporters at a news conference. He claimed the Afghan government was getting the information in bits and pieces. "The last people to find out (about the peace talks) are us," Mohib claimed. He alleged the Afghan-born US diplomat Khalilzad has personal ambition in Afghanistan. "The perception in Afghanistan, and people in the government think that perhaps all of this talk is to create a caretaker government of which he will then become the viceroy," Mohib alleged. But Palladino said Under Secretary Hale in his meeting with the Afghan NSA "underscored" the "longstanding" US assistance and support to Afghanistan. Hale expressed America's commitment to the Afghan government's stability and full participation in the peace process, the State Department deputy spokesman said. "He also reminded National Security Advisor Mohib that Special Representative Khalilzad represents the Secretary, and that attacks on Ambassador Khalilzad are attacks on the Department and only serve to hinder the bilateral relationship and the peace process," Palladino said in a strongly worded statement.